We recently made a Skylander’s Cake for my 7 year old’s Birthday party (full photos and post to follow!). 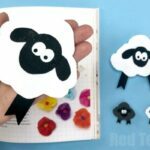 As part of this, we need some little edible sheep decorations. 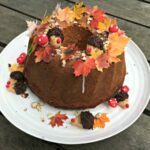 I had some fondant icing left over, but couldn’t get decent black food colouring in time for finishing off the cake… so I came up with these super duper easy (but cute, I like to think!) Fondant Sheep!!!! 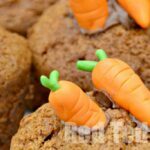 These are great for a Spring or Easter treat too! They literally take minutes to make (i.e. minutes to make about 10 of them) and look cute! 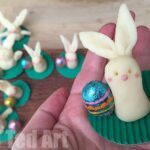 These Fondant Sheep can easily be made out of Marzipan too! 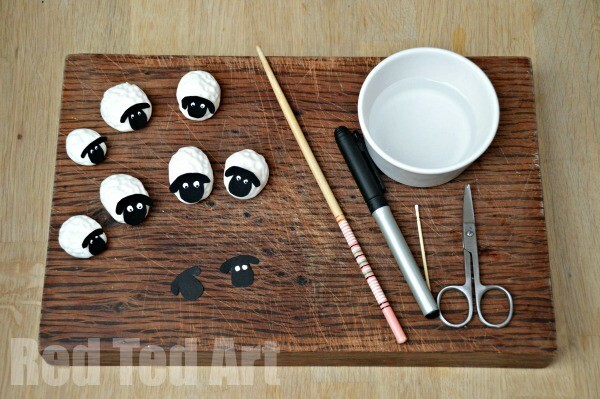 1) Really, these fondant sheep are easy easy easy. We started off by cutting some very simple sheep faces out of the black card – essentially an egg shape with ears. If you feel uncomfortable drawing free hand, use a pencil to outline first and cut away. 2) Dab a tiny bit of white paint onto the cards – we used a tooth pick. 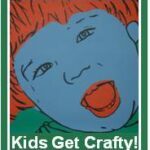 3) Let dry and then with a black marker pen, add the pupils. 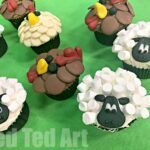 Once you have gotten these ready, you can make your easy fondant sheep! 4) Roll your fondant icing (or marizpan) into a ball. Make slightly oblong. 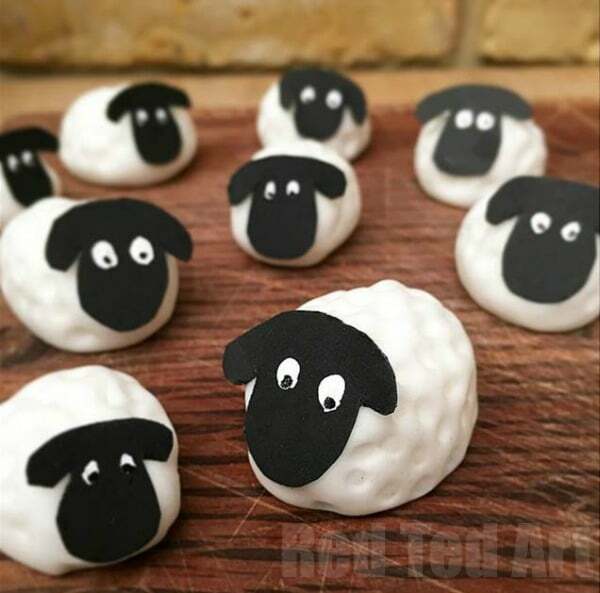 5) Dab a little water on one end – this will make the icing sticky and will allow you to “stick on” the cardboard sheep head” onto your fondant sheep. Stick on your card. 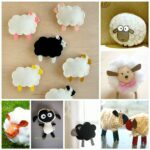 6) Take a chopstick or a similarly shaped kitchen implement and push gently into your fondant sheep’s back – to make a woolly pattern. 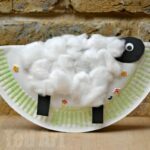 Hope you have lots of fun making our easy fondant sheep!